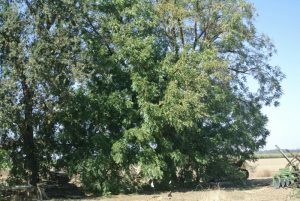 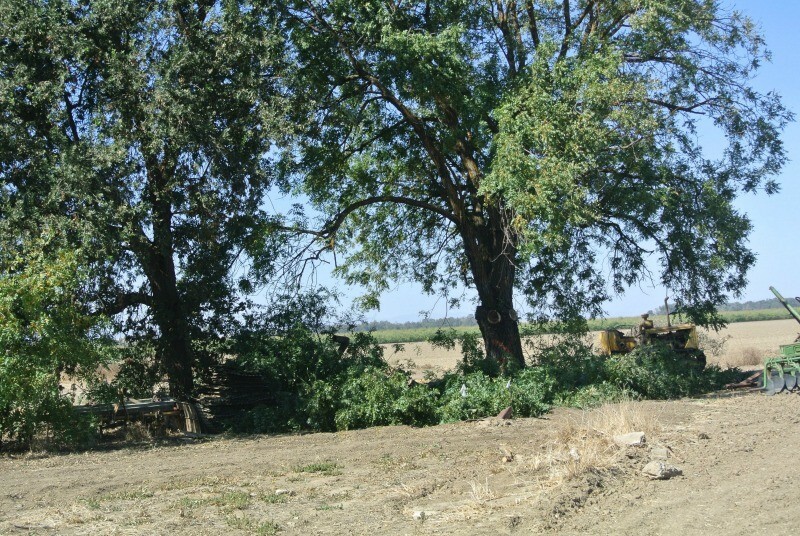 We received a call from a farmer in Zamora,CA who was wanting to expand his field so he could plant an almond orchard and he needed his dying Walnut Tree removed. This tree was wildly planted about 90 years ago. 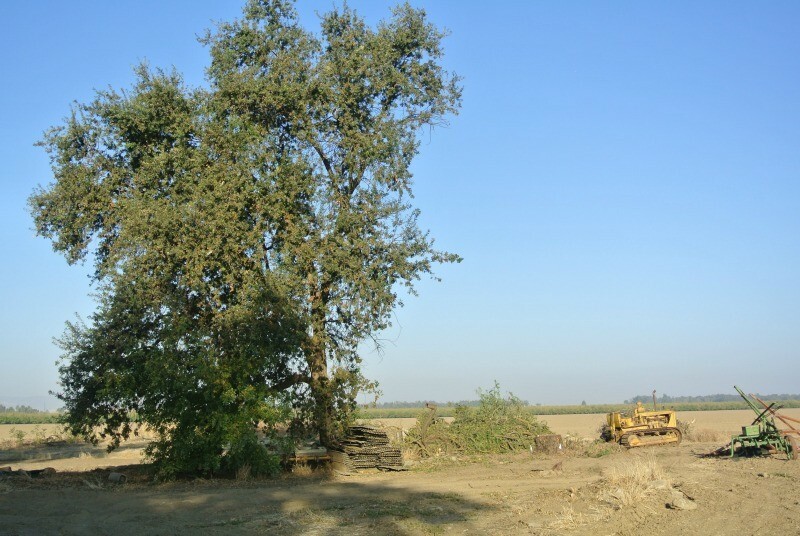 2 ft of the base was used as a fence post for a barbed wire fence, so we ended up cutting the tree off above that. If we wouldn’t have came in and salvaged this tree the owner would have had his firewood guy come in and cut it up into firewood. When we walked up to the tree to look at it we knew it was highly figured and that we couldn’t wait to get it on our Woodmizer WM1000.